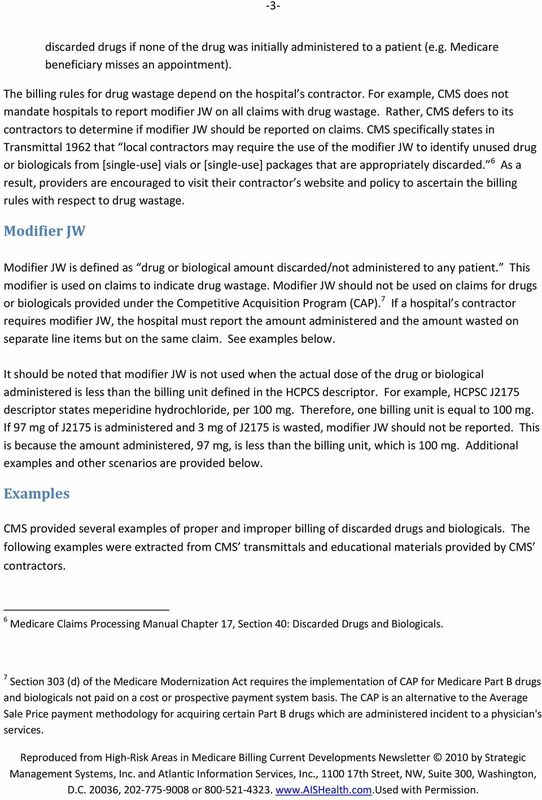 Medicare Claims Processing Manual Chapter 17 - Medicare Claims Processing Manual . 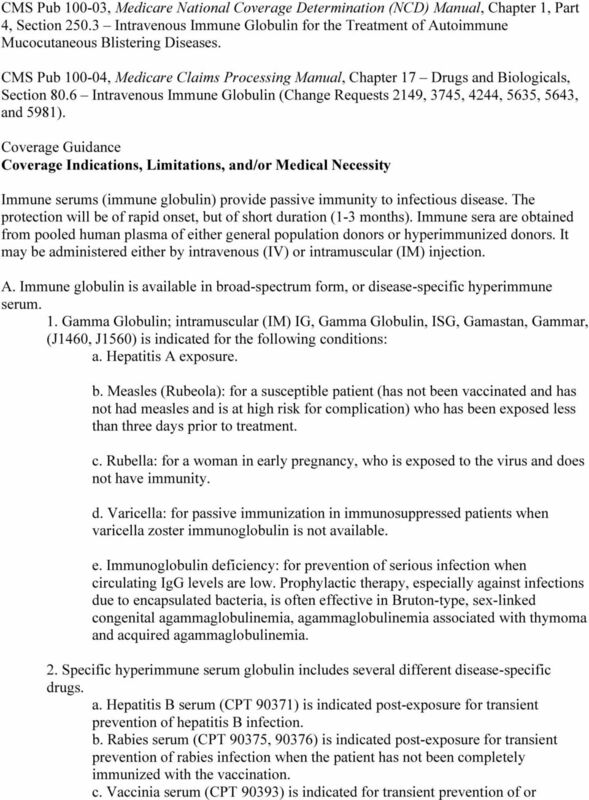 Chapter 12 - Physicians/Nonphysician Practitioners . Table of Contents (Rev. 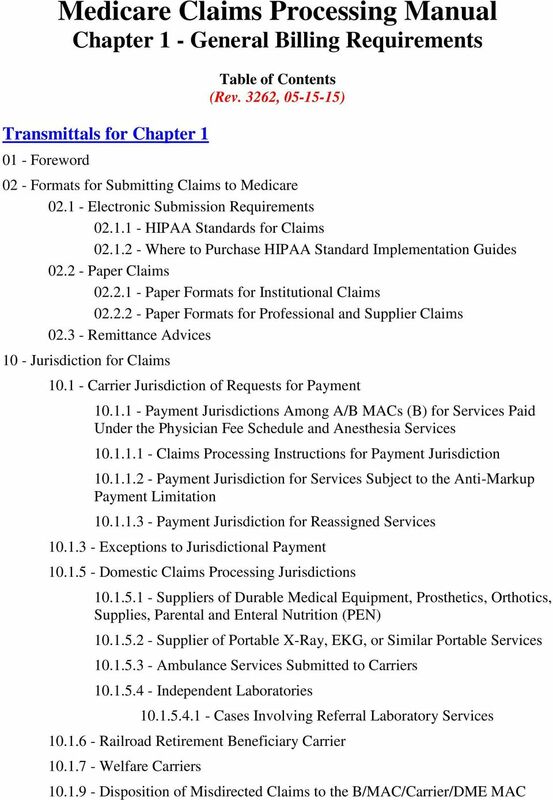 4173, 11-30-18) Transmittals for Chapter 12. 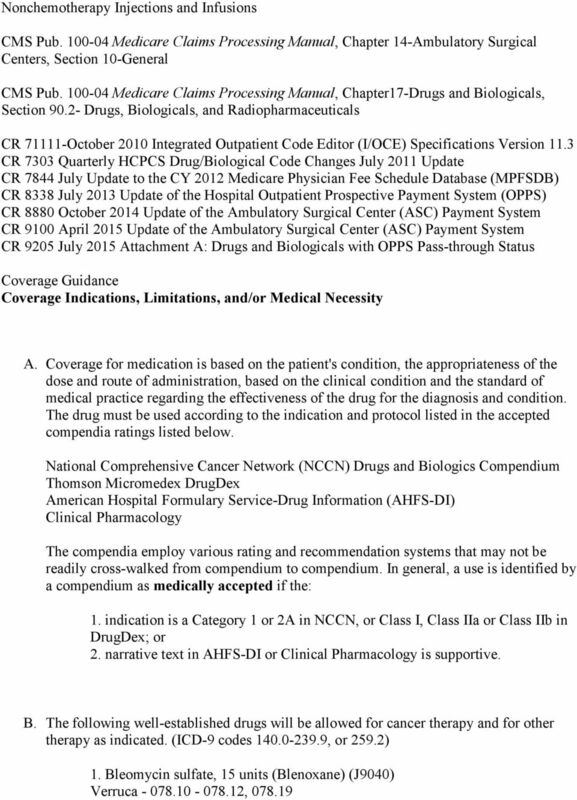 Medicare Benefit Policy Manual . 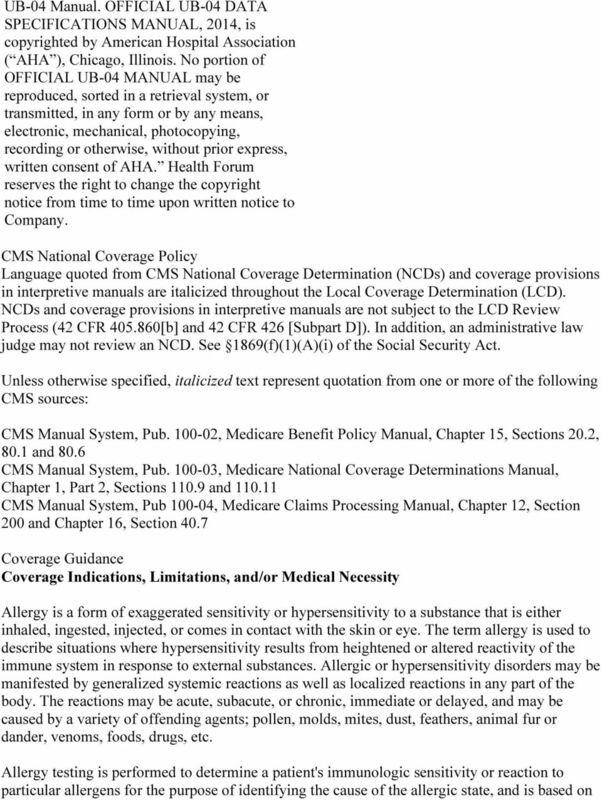 Chapter 15 – Covered Medical and Other Health Services . Table of Contents (Rev. 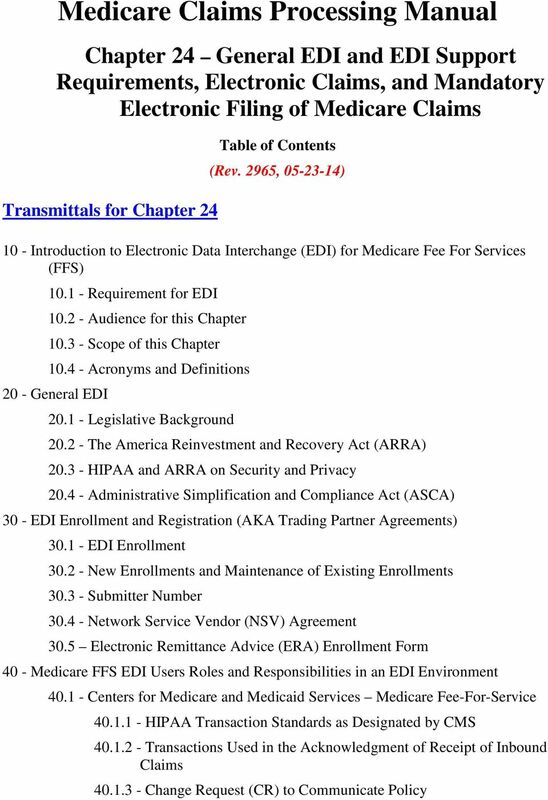 251, 11-30-18) Transmittals for Chapter 15. 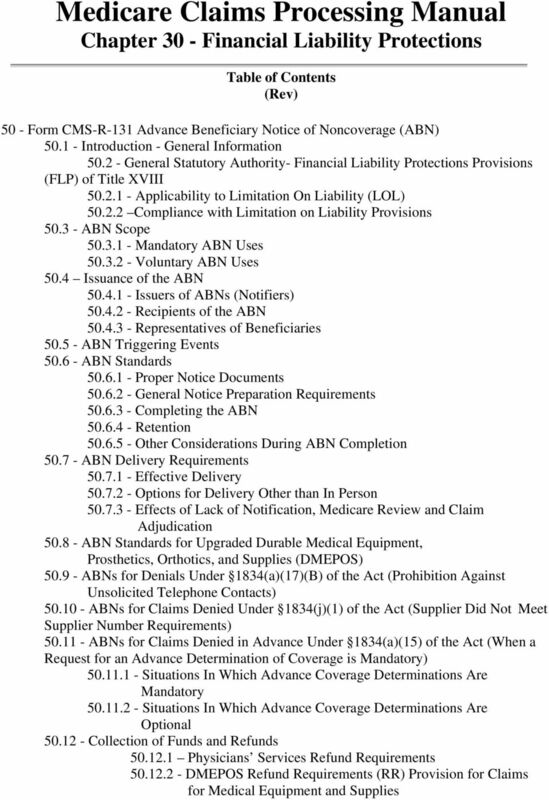 Claim Submission Chapter 6 - PDF Consolidated Billing 13. DMEPOS and an Inpatient Stay 14. 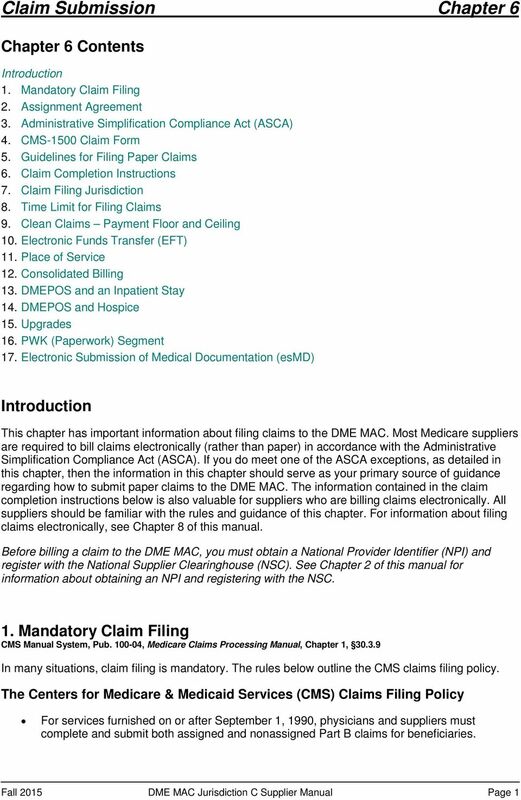 DMEPOS and Hospice 15.